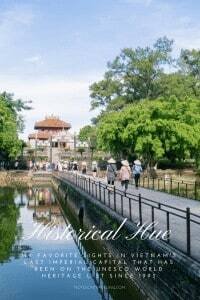 Hue was the capital of Vietnam during the Nguyen era of the 19th and early 20th century. 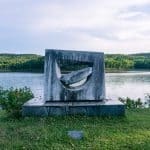 A complex of several monuments dating from those years has been declared a UNESCO World Heritage site in 1993. 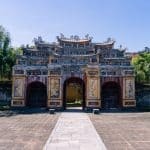 This includes the Imperial City, the Temple of Literature, Chua Thien Mu pagoda, and the tombs of the dynasty’s emperors outside the city center. 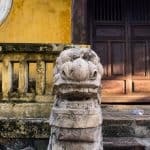 After spending a couple of weeks in Hue due to the wait for a credit card replacement, these are my five favorite sights in the city. 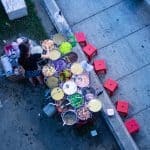 If you get up early, you can do them within one day and would still have time to visit the night market in the evening. 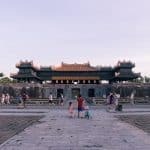 The Imperial City (also Hue Citadel or Forbidden Purple City) is without a doubt one of the highlights of any Vietnam visit. 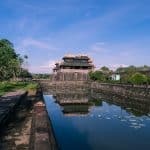 The 2x2km complex, surrounded by a thick wall, a moat, and a second channel of water diverted from the Perfume River, dates back to the 14th century. 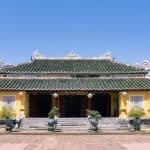 However, most of today’s buildings were constructed in the 19th and early 20th century when the Nguyen family was the ruling dynasty of Vietnam or are reconstructions of the last few decades. 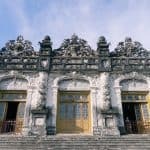 Within a 500x500m inner wall sits the royal compound with living quarters and temples reserved for the emperor and his family (his wife and his mother would hold special relevance in that family). 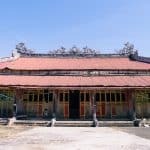 Several of the buildings are still in the process of being bit by bit reconstructed after a battle during the Vietnam War destroyed many of the wooden structures. 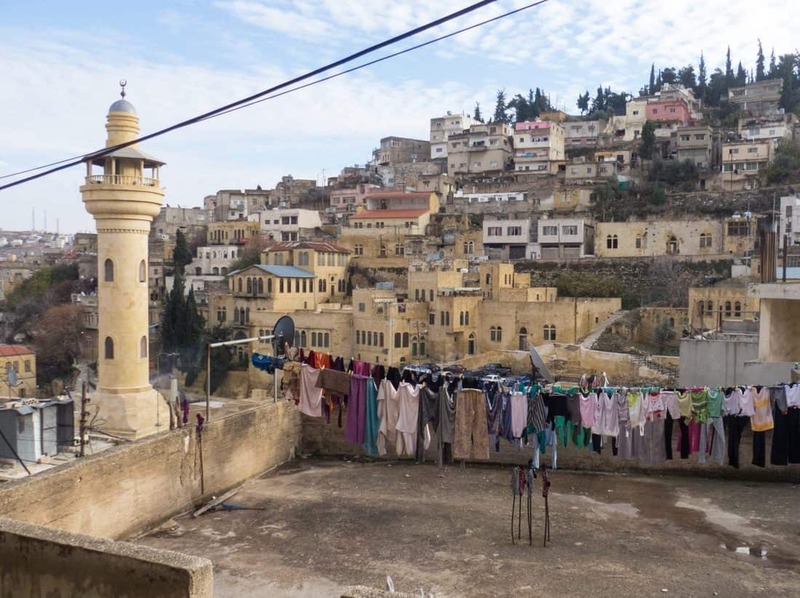 Exhibitions allow a glimpse into royal life in court, and in the living museum artisans make lanterns, soap, and wine. 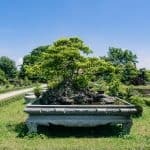 My favorite bit of the Imperial City is the Ca Ho Garden, home to numerous large Bonsai trees and an excellent place for a coffee break in the cozy eatery. 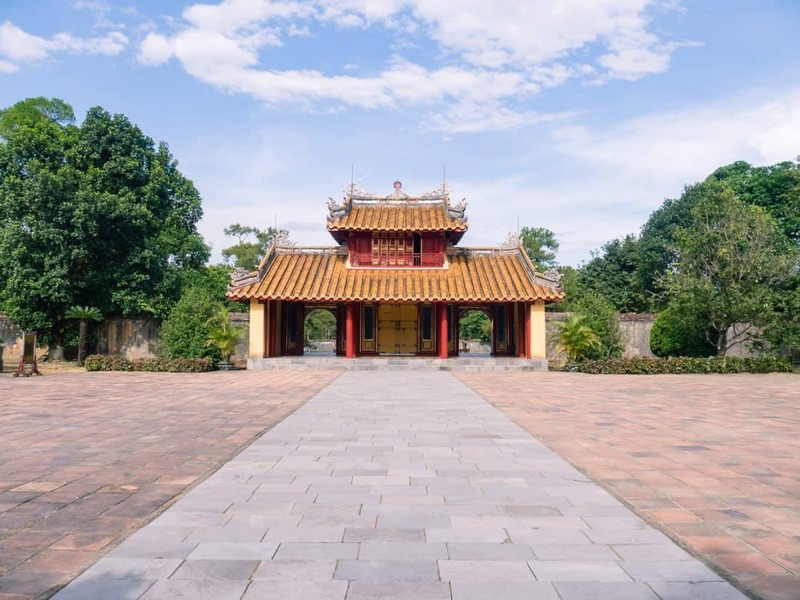 Entrance to the Royal Enclosure in the Hue Imperial City costs 150,000 Dong for foreigners. 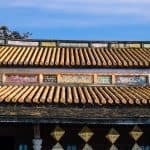 A combination ticket costing 360,000 Dong gives entrance to the Imperial City plus 3 tombs (which cost between 80,000 and 100,000 Dong each) within 48 hours. Come early in the morning to avoid the crowds. The Royal Enclosure is open from 8 am to 5.30 pm, during the summer there are night openings until 10 pm. Licenced guides can be hired from the main gate. Allow at least 4 hours for your visit. 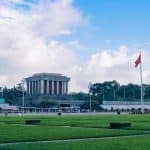 In the early morning hours, around sunrise, the square outside the main gate is a meeting point for Hue citizens engaging in all kinds of exercise – from playing badminton to aerobics. 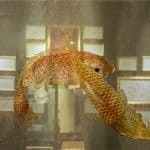 The Museum of Silk Embroidery Arts on the corner of Pham Hong Thai St. and Le Loi is a magical place. The building itself is a wooden bungalow inspired by traditional Vietnamese houses. 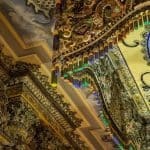 The museum sheds light on the history of silk embroidery and displays both old pieces once in use in Vietnamese households and modern silk embroidery art. More than once did I have to step closer to confirm that every little dot, every line was indeed a stitch and not painted with a pencil. At several work desks around the museum, you can watch artists at work creating large-scale landscapes and portraits on order. On summer nights small, impromptu concerts of traditional music will be played on the wooden deck outside the museum. Entrance is free. 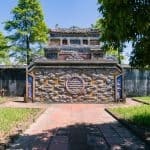 Minh Mang Tomb is half an hour outside Hue center. 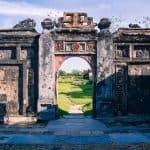 My recommendation is that you rent a scooter for a day and combine a visit to Minh Mang and Khai Dinh Tombs (and any of the other royal tombs) with an exploration of the old waterpark at Thuy Tien Lake. 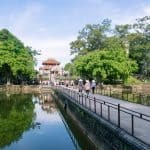 Hue – and this tour outside the city center in particular – is a great place to get your first taste of riding a scooter/motorcycle as the roads are good and wide and there is less traffic than in the other tourist destinations. 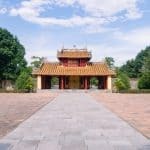 The Minh Mang tomb complex sits, not far from the Perfume River South of the city, in a large park. The buildings are arranged around two lakes. 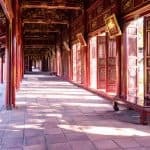 As it was custom, the complex was erected before the Emperor’s death and in his final years, he would come here to fish and pray. 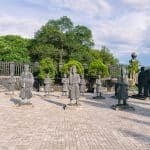 The actual resting place of Emperor Minh Mang (1791 – 1841) is a hill in the park that cannot be entered. 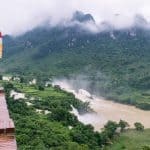 Visit with your own scooter, rent a driver/cab, or take a (boat) tour to Minh Mang. 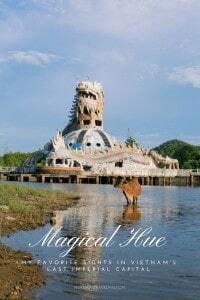 Click here to get an idea of the range of available Hue tours (on Viator). Entrance fee: 100,000 Dong (10,000 Dong bike parking fee) – the tomb can also be visited as part of the Imperial Hue combi ticket (360,000 Dong, see above). Refreshments are available in- and outside the temple, but there are not restaurants. 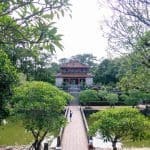 As the crow flies, Khai Dinh Tomb (aka U’ng Mausoleum) is only about 2 km from Minh Mang Tomb. But the design of two royal graves could not be much different. 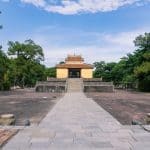 The Khai Dinh Tomb complex runs along a hillside and bears elements of French palace parks. 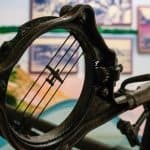 This is a testament to Emperor Khai Dinh’s (1882 – 1925) close relations with the French colonial rulers of Vietnam (as part of Indochine). 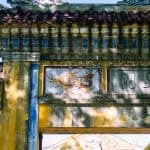 After all, it was Khai Dinh who abolished the old Chinese alphabet in Vietnam and made it possible that travelers like me can at least understand some of the signage around the country. 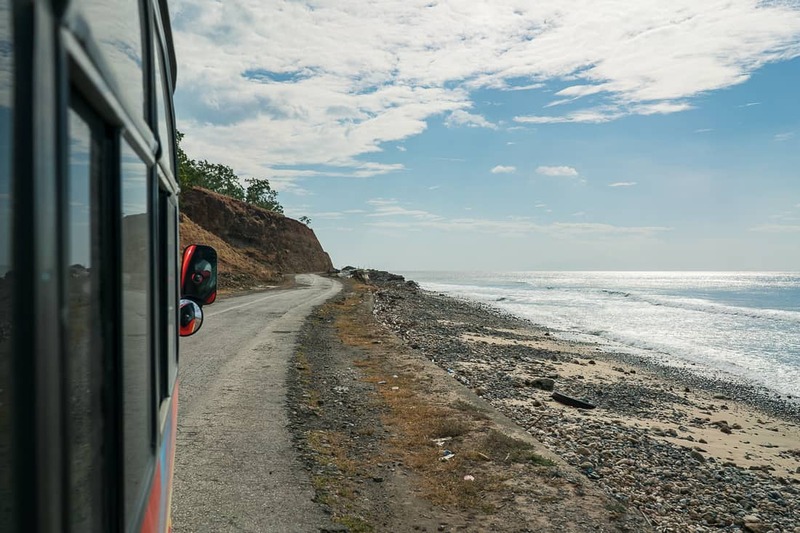 Visit with your own scooter, rent a driver/cab, or take a day trip. 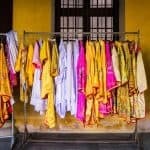 Click here to get an idea of the range of available Hue tours (on Viator). Entrance fee: 100,000 Dong (5,000 Dong bike parking fee) – the tomb can also be visited as part of the Imperial Hue combi ticket (360,000 Dong, see above). Refreshments are available outside the temple, but there are not restaurants. 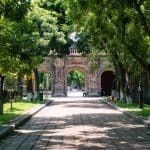 Plan at least 20 minutes for your visit. 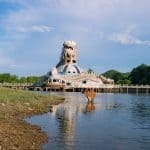 Thuy Tien water park is what we call a White Elephant in Germany: Created in the early 2000s on the shores of Thuy Tien Lake outside Hue, the park boasts an outdoor sculpture exhibition, a restaurant complex (now in ruin), and an artificial island shaped like a dragon. 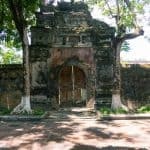 It didn’t survive long and people in Hue were mute about what lead to the shut-down. 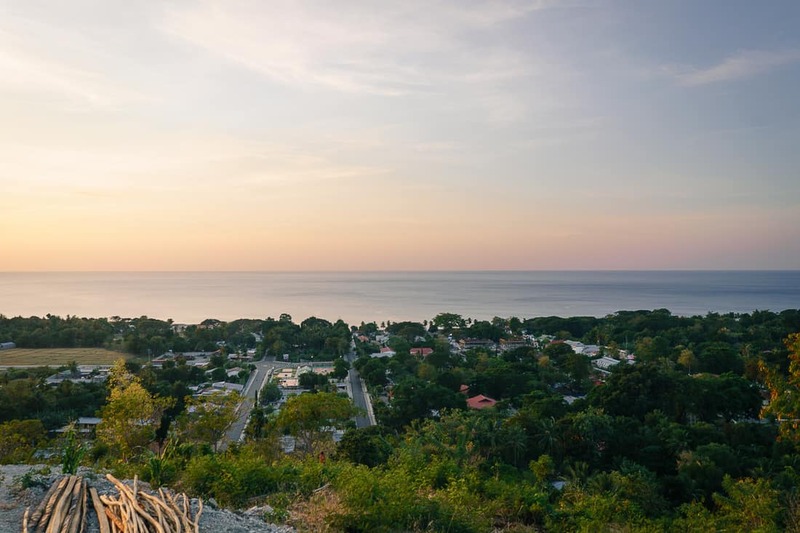 But these days it is a favorite destination for local youth and tourists alike. The gates are open and entrance is free. 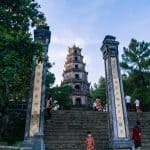 Though you might find some smart locals asking for a small fee (10,000 Dong) to enter the park and access dragon island. There is no food or drink available (other than a nifty local setting up a stall on occasion). Organised tours usually don’t include the waterpark, so either arrange a private driver or come here on a scooter/motorcycle. 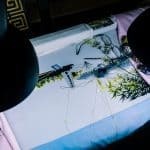 Tailors – I had Gia Huy Silk in Pham Ngu Lao make me a light jacket as sun protection while riding motorbikes in Vietnam. 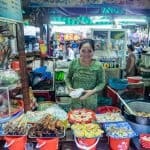 Dong Ba local market – eat where Anthony Bourdain has eaten; you’ll recognize the small stall on the southeastern side of the market by a banner the owner lady has put up with a photograph of her and Bourdain in 2016. 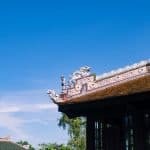 The main Vietnamese train line between Hanoi and Ho Chi Minh City passes through Hue. 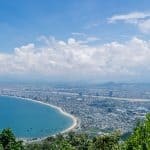 To me, the section between Da Nang and Hue is one of the most beautiful train rides I have ever been on. Tickets are available at the station (do allow for some hours for buying the tickets) or online, for example at Baolau. 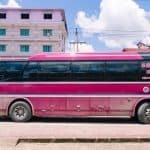 Numerous bus companies offer routes from/to Hue. Again, you’d best check in at Baolau or buy tickets from your accommodation. 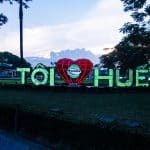 Hue has an airport. For tickets, you guessed it, I recommend checking Baolau. 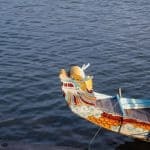 Finally, the route between Hue and Da Nang is legendary. 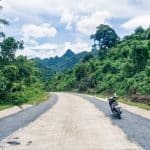 Renting a motorbike to cross Hai Van Pass is a favorite option (tough choice between this and the train). If you don’t dare ride yourself, look into so-called “Easy Rider” options where a professional driver will take you on the back of his motorcycle. 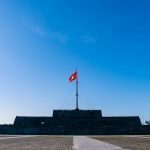 Click here to see my full guide on public transport (and riding motorcycles) in Vietnam. 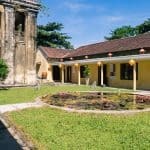 Accommodation: I stayed in Amy Hostel, conveniently located outside Hue’s main tourist/backpacker drag but close enough to the bars and restaurants there as well as the night market, and truly local food. Food: Tourist bars and restaurants can be found plentiful around Ben Nghe Street. If you are looking for a little more local flavor head over to Tru’ong Dinh Street near the hospital. 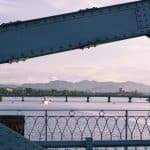 Tours: Aside from day trips to the tombs dotted on the edge of town, Hue is also a brilliant base to go on a day tour of DMZ, the Demilitarized Zone set up between communist North Vietnam and American-supported South Vietnam. 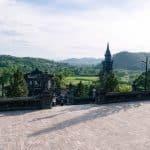 It’s a haunting journey taking you along jungle that was completely destroyed by the infamous Agent Orange, to Khe Sanh Airbase which was the site of one of the fiercest battles between the North and the allies in the South, as well as Vinh tunnels where the local population lived for years during the war. 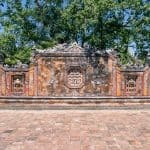 While you can book these tours at a low price via your accommodation,see below for Hue Tours on Get Your Guide. A couple of years back when I travelled around in Vietnam for some reason I decided to skip Hue. 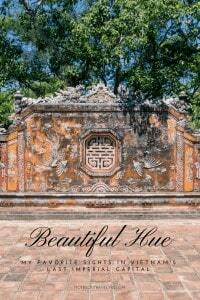 But now that I have read your post and seen yous gorgeous photos I really want to visit Hue. 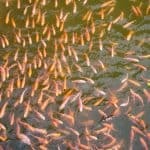 I am hopingto return to Vietnam soon! Thank you for sharing this post with us! This looks so nice ! Planning to visit there early 2018! 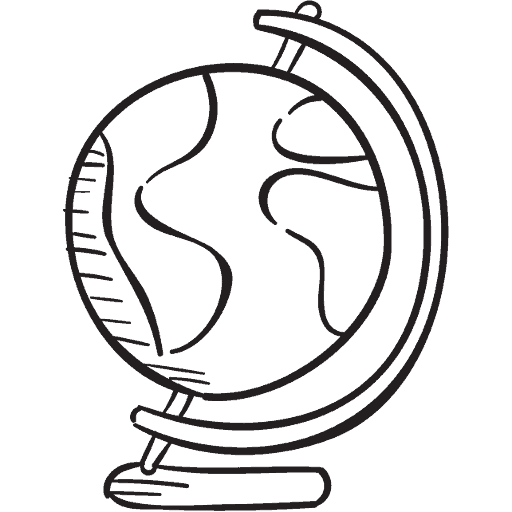 What a great and varied list of places. 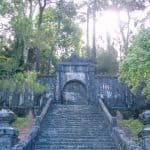 I love the idea of exploring the ruined park around Thuy Tien Lake. It looks like it would be amazing for photos.